Garage Cupolas: Your Garage Will Thank You! 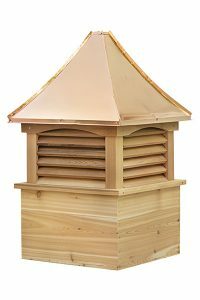 Give your garage that extra touch it needs with a Copper Roofed Cupola. 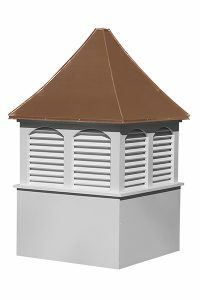 Or buy a small garage cupola and add a weathervane for that cherry on top look you’ve been wanting. Here you can find a garage cupola to match your garage size and class. Not every garage is created equal and not every garage cupola is created equal. When you invest in the beauty of your garage, you invest in the value of your property. 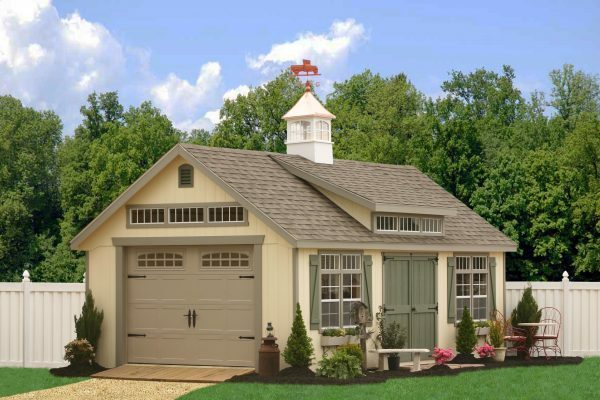 There’s just something about a garage with a cupola and weathervane that sets it apart from the rest. Choosing the right cupola for a garage means looking at different variables. You can choose wood or vinyl material, a cooper or aluminum painted roof and choose between a garage cupola with glass or one with louvers. 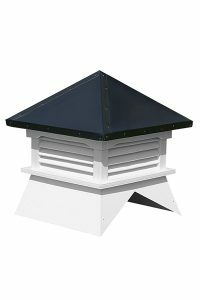 Here are a few popular garage cupolas which are available in 30-inch cupolas to 60 inch cupolas. What size should my Garage Cupola be? That depends on the size of the garage where the cupola will be installed. We recommend measuring the length of your garage that needs a cupola and then multiplying by 1.25. That will give you the approximate ideal size of your garage cupola. See more instructions here. Can I install the Garage Cupola Myself? That depends on a number of factors. Are you an avid DIYer? Do you have the tools for the job? Is the roof of your garage really steep? Whatever you do, make sure you use ALL safety precautions such as a safety harness etc. Better to be safe than sorry! Are your Garage Cupolas Really Amish Cupolas? We actually never saw an “Amish Cupola” with a straw hat on top! But our cupolas are really made by Amish folks in Lancaster County, PA and they work hard to make each garage cupola shine. You will enjoy the beauty of it for a very long time!